Spending at least one summer travelling Europe by train is a rite of passage for many, and an unforgettable trip for new and seasoned travellers alike. You can take in the views all the way from Barcelona, through the small mountain villages of rural France, make your way to the breathtaking Mediterranean coast and beyond. Wake up in a different country every day, or slow down and spend a little more time in each place before moving on. Whatever the journey you’re planning, these tips should serve you well before you hop aboard your European rail adventure. 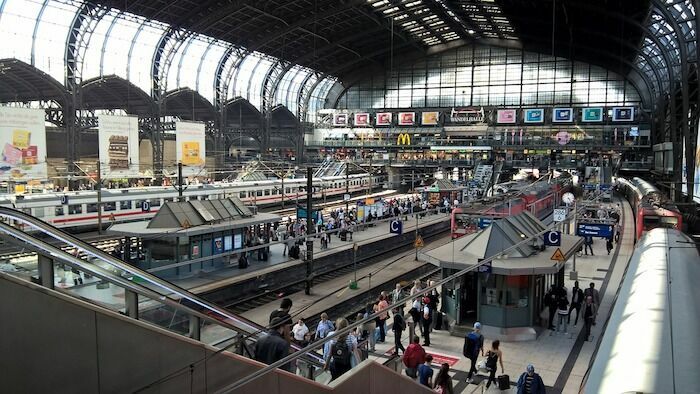 Travelling by train through Europe offers endless possibilities, so plan accordingly. First, decide how much time you have. Setting aside about four to six weeks will allow you to get the most out of your trip and really see what Europe has to offer, but even a week or two is enough to explore some of your top must-sees. 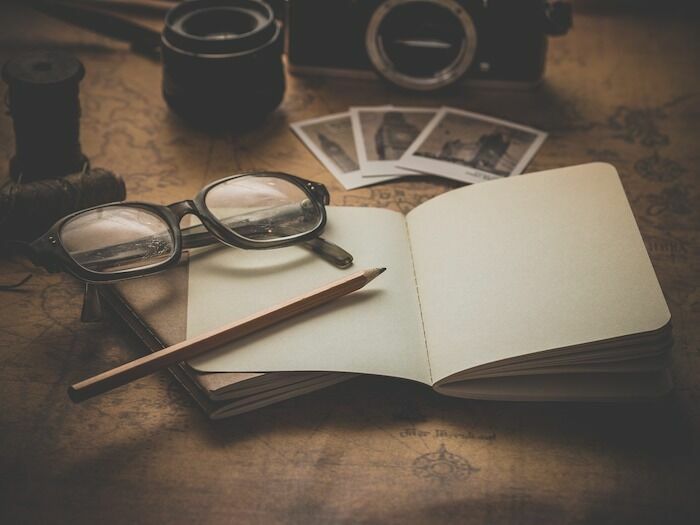 With so many places to explore, you will want to plan a realistic itinerary for the time you have. Follow these steps as you plan your journey. If you have a short period of time, stick to exploring just a few countries. Sit down and create a rank of the European countries or sights on your must-see list. Pull out your map and see which destinations are geographically close together. If there is an oddball that seems off your path, you may need to save that one for a seperate trip. Now that you have identified your personal hotspots, check your rail map and see if it makes sense to travel east-west, north-south or in a circular loop. From there, you can check for rail passes that might help you hit your must-see locations. It’s much easier to narrow down your best rail pass options once you know which countries you plan to visit. Some rail companies offer a simple questionnaire to help you narrow down your search depending on your itinerary. If you plan to spend a lot of time in one country, you might consider a pass for that particular area, however a multi-country pass is probably best for most European trips that cover more ground. Investigate your particular pass and see if adding a few point-to-point tickets in the middle would make more sense. If you are only spending one day in Slovakia, you may want to consider skipping that country on your pass and buying a point-to-point ticket for the day. Flexipass or continuous pass? A flexipass allows you to count only the days you travel on your rail pass, whereas a continuous pass can save you money if you plan to be on the move daily. Look for discounts. Many rail passes are discounted for students, or other travellers falling within a certain age range or category. See if any rail passes offer discounts that apply to you. Now that you have your pass, start thinking about seating and reservations. Do your research and see which routes of your journey require pre-booking seats. If you plan to travel during the high season (usually most of the summer), expect busy routes that may need to be reserved. Other routes and countries allow you the freedom to hop on and off when you need to. If you plan to cover larger countries or areas, travelling overnight on the train can be a great option, especially if you are on a budget. Nothing beats falling asleep in Italy, and waking up in Croatia! With that said, there are additional considerations if you are travelling at night –– especially if you plan to go solo. Lock your backpack to your seat while you doze, or securely store it nearby on the train if you are sleeping in economy seats. When you sleep, keep any valuables on your person and don’t leave items such as a purse, cell phone or passport out where others can see them. While sleeping, make sure you are near other travellers and not all by yourself. If you feel uncomfortable, you can also investigate a sleeper car which is more private but comes at an extra cost. Another great tip for overnight travel is to make sure a friend or family member knows your itinerary before you leave. 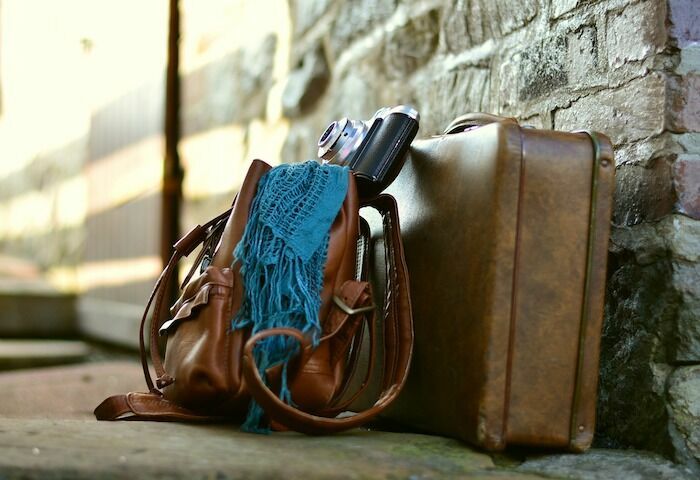 If you plan to travel with friends, take turns dozing and stow bags in a hard-to-reach area between travellers. It’s no fun hopping from station to station with so much baggage that you need to make multiple trips to load it all on, or you end up needing assistance lifting it onto the luggage rack. Keep your personal items manageable and only pack what you can carry on your own. A sturdy backpack usually does the trick for a European tour. Keep your clothing lightweight and only bring the essentials. Plan to pack light and stop at the laundromat every four or five days if you will be travelling longer than a week. Skip the extra dress shoes. Two pairs of shoes is all you need: one for trekking, and one for the beach. Leave heavy electronics at home and keep a journal instead. As you embark on your European journey, you will notice that your body will adapt to carrying the weight of a backpack from place to place, but that doesn’t come without its own aches and pains. Grab a compact travel pillow and perhaps some other lightweight travel items and get ready to toughen up; after a few weeks, the load will seem like nothing at all. If you want to meet friends on the tracks, be mindful of boundaries, but have some icebreakers handy to start up a conversation if you find yourself seated next to a fellow wanderer. Many a friendship has been formed over shared food or common interests on the journey. Scan the train car for anyone reading a guidebook for your next location and ask a few questions. Consider taking out your earbuds every once in a while in favor of striking up a conversation in the bar car. You may just come away from your trip with a few new life-long friends. Boarding the train is only the first part of your epic adventure. Keep these tips handy and they’ll serve you well on every leg of your trip. Feeling ambitious? Check out some destinations off the beaten path. Combine your rail journey with a bike trail or perhaps a mountain hike. Be ready to change your plans if need be, and above all else, don’t forget your passport! Casey Pontrelli is a freelance writer and content strategist. Casey has collaborated with several industry insiders, from independent boutique owners to leading fashion and travel brands, including Cabeau. Nice tips. We too have done quite a bit of train travel in Europe and loved it. As you mention the better planned your itinerary is the better the experience. Also, it makes sense to travel overnight. We had brought a multi-country pass and used it well. But we also found out that the Eurail pass is not valid on some sectors like the Mountain Railways in Switzerland. 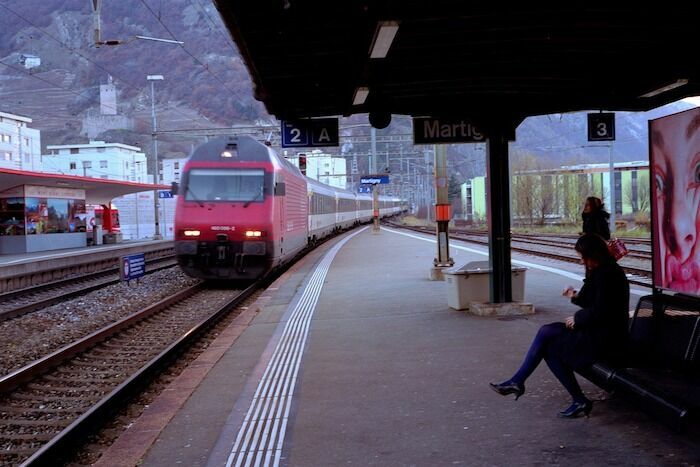 These are some great tips for train travel across Europe. I haven’t done enough train journeys from country to country, just within one place. I’m not a great sleeper on transport, so unsure about the overnight trips, but would like the possibility of meeting new travellers along the way. Great tips!! Travelling overnight is a great way to save some money, but I always miss the great views during the night. I like your last tip a lot; say hi to a stranger. Questions about food, common interests, or a book, are indeed nice ideas to start a conversation. I will save this post, so I can look it up when I am planning a new train travel around Europe! 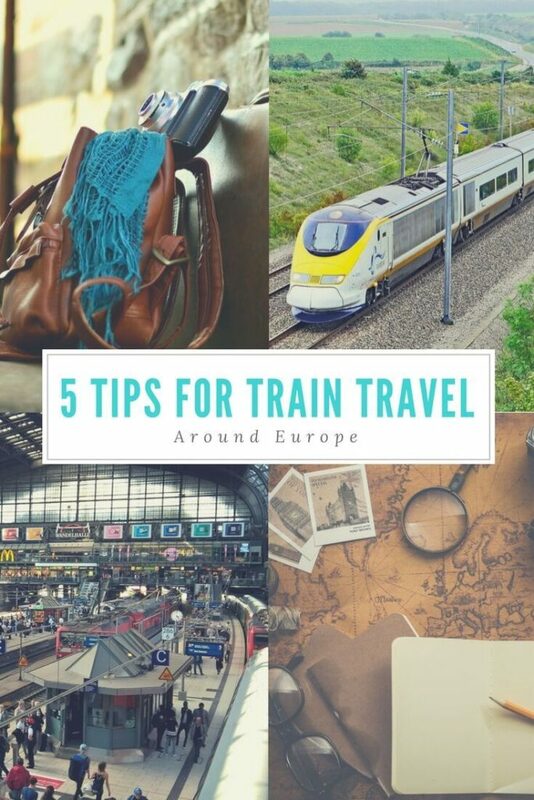 These are great tips as I’ve never traveled through Europe by train. Traveling at night and planning your route ahead of time are things I would definitely do 🙂 Saying hello to strangers is a good one too!! !